It's easy to forget that Bowers Museum, that not-so-tiny museum that houses rare artifacts from around the world, stays culturally relevant and fun with family events and festivals. Consider this Sunday's Fiesta Latina, a short but quirky four hours of entertainment that features various Latino-centric forms of expression, musical and otherwise. Salsa dancing lessons, a DJ set featuring tangos, rancheras, and boleros, Brazilian martial arts demonstration and a guitar performance round out the day's schedule, with a showcase of films at the center; a series of short films brought to you by the OC Film Fiesta shown at Bowers' Kershaw Auditorium. The short film showcase features films made by OCFF's Cinema Camp program, a program that connects youngsters and teens to their inner Godard (or, God help us, Michael Bay), as well as favorite short films that were shown at last year's OCFF (the festival kicks off its second year this September). Some of the teen films, incidentally, were made at Bowers and Heritage museum, such as the film whose screencap tops this post, charmingly titled You Make Me Batty. 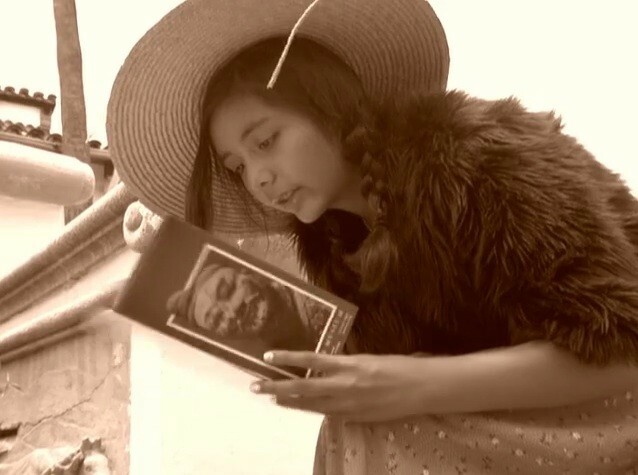 It's a charming homage to the silent film era, as well as an obvious shill to check out various exhibits at Bowers museum, but hey, for a project made by kids who know little about the silent film era, their take on the genre is on point. Admission for the Fiesta Latina is free to the first 1,500 guests, and free to all SanTana residents with ID. And if you've ever tried to visit Bowers on a free Sunday, you'll know parking for the museum gets more packed than Wholesome Choice on any given day, so arrive early if you can. And hey: guests will also be able to enjoy paletas at this event too. See you there! Follow OC Weekly on Twitter and Facebook!